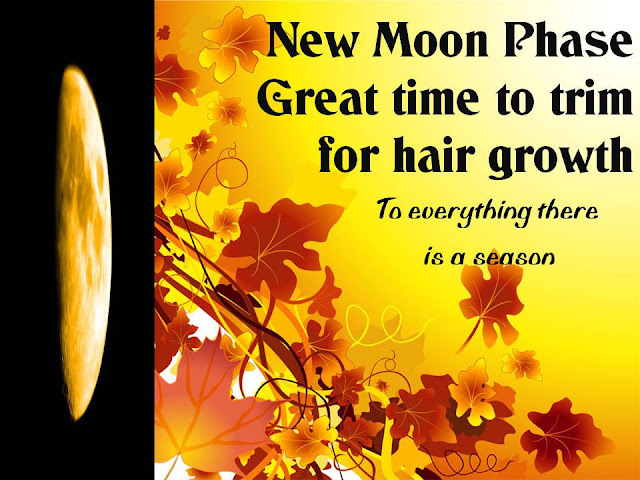 The process of trimming your hair during certain high energy times of the month, depending upon the position of the moon. It is all about good energy. Good energy attracts more good energy. So if you are not in a positive mindset, do not attempt a New Moon Phase trim. Pray, forgive, release all negative feelings, if you want to attract good positive energy. What, you've never heard of Toni Daley?